London, UK. 18.07.2014. Mountview Academy of Theatre Arts presents SATURDAY, SUNDAY, MONDAY by Eduardo de Filippo, the English adaptation by Keith Waterhouse & Willis Hall, directed by Michael Howcroft, at the Unicorn Theatre, as part of the Postgraduate Season 2014. 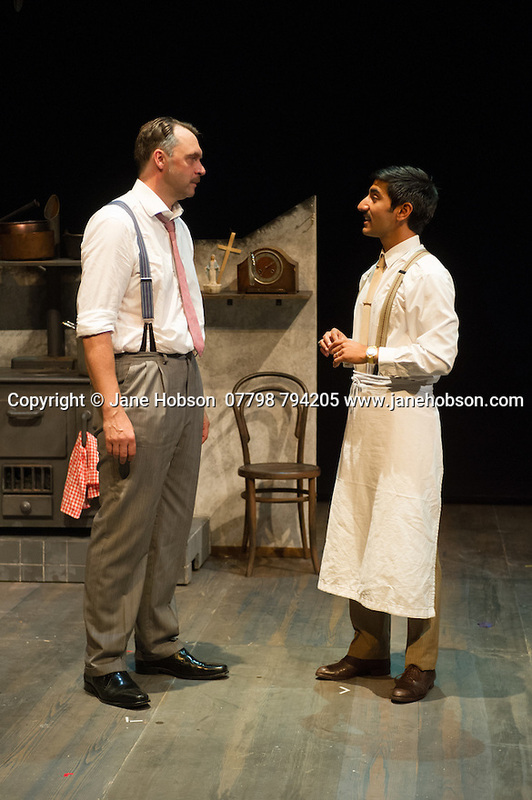 Picture shows: Adam Radcliffe (Peppino) and Harki Bhambra (Luigi Ianniello). Photograph © Jane Hobson.